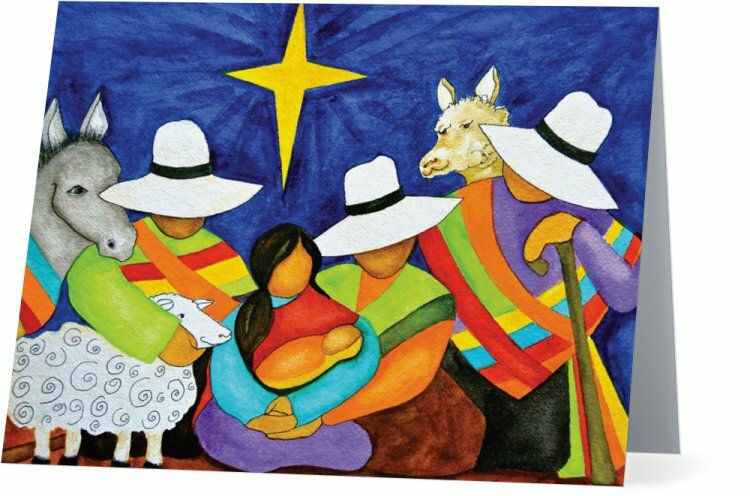 Peru Nativity Cards Coming Soon! 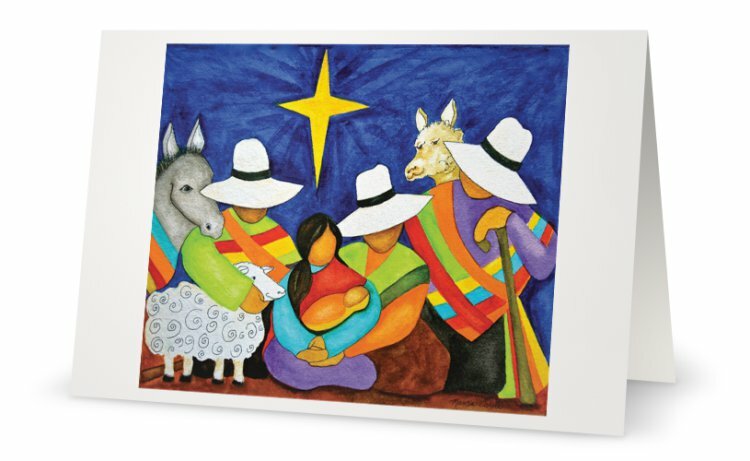 5×7 Glossy reproduction, blank on inside – sold as individual cards and in sets. Coming soon. What a morning with my chemo brain! Chemo brain is not for the faint of heart. 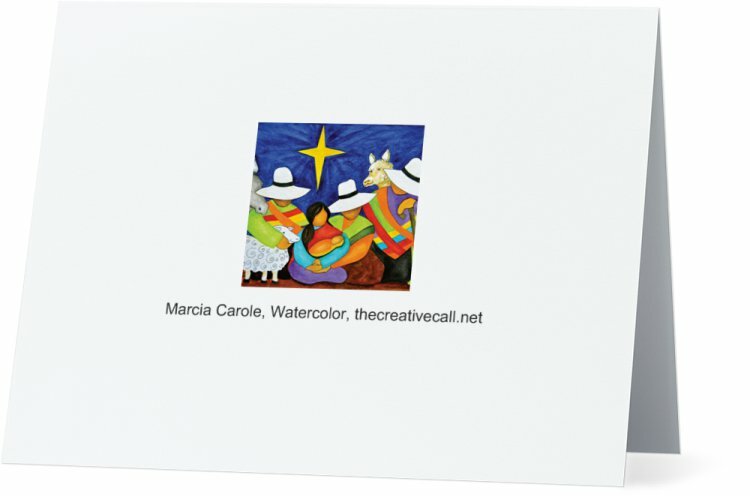 Ordering cards and reproductions are hard for my artist brain, on a good day. Then, you add partially fried, chemo brain cells, factor in crazy, self-willed spell check, and my morning’s work of ordering cards from my original watercolor was a wee bit of a challenge! Somehow, miraculously, these cards have all been ordered from the printer. This is the back of the 5×7 card. 4×5.5 matte reproduction, blank inside. This is the back of the 4×5.5 cards. My next chemo appointment is right around when these are due to arrive at my place. 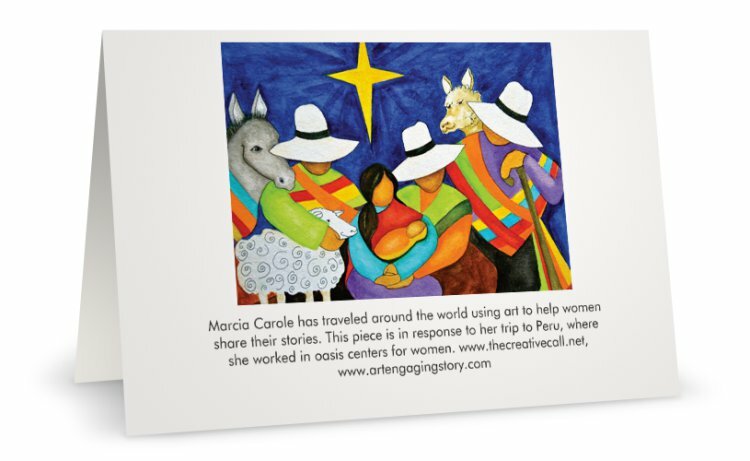 I hope to have the brain function, and the physical strength, to mail out cards by mid-November. I am so thankful to God to have the strength to paint any day during my chemo cycles. And, the capacity to order cards, on top of painting, is nothing short of miraculous. God keeps showing me His grace in the middle of my hard. You’re in my thoughts and prayers. I think I ordered some cards months ago and did not know how to pay so I emailed you and you indicated that you would contact me when you returned. I really don’t even remember what I ordered but I know they were beautiful! Can you tell me how to order and where to view your entire collection? God bless you! Blessings to you. You’re very brave.